I was so stoked to receive these images from Samantha, who recently purchased her very own 2011 Gingiber Owl Calendar! Look at her awesome display! Samantha writes, "I am loving the 2011 Owl Calendar that I purchased from you about a month ago and I wanted to share with you some photos of how I decorated my walls with your amazing artwork. Thanks so much!" 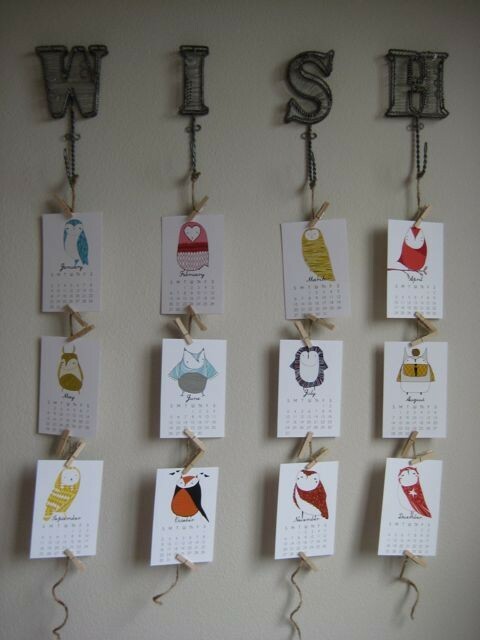 Feel free to send in images of your own 2011 Owl Calendar on display! I would love to feature your creativity on GingiberSnap!